Summer simply calls for an armload of friendship bracelets. 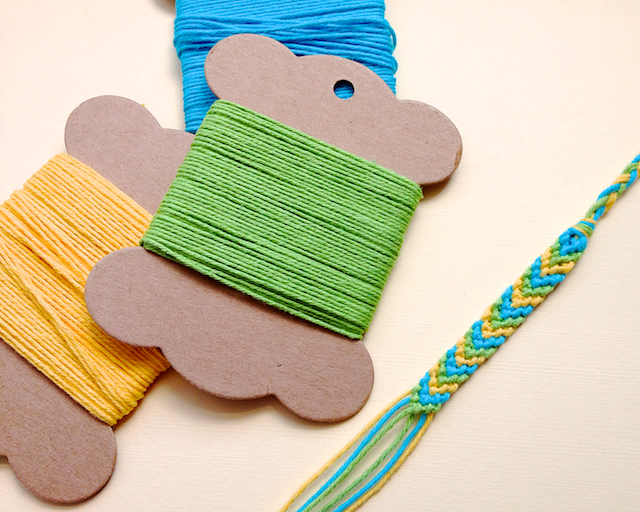 Knot them up in twine and skip the tangled embroidery floss headaches! See bracelets made with neon twine right here. For all things friendship bracelet (tutorials, products to buy, etc) come join Omiyage & Oh My Handmade's Pin Party over on Pinterest. Click over to Oh My Handmade to learn more about this pin party. Thanks & my pleasure! It's a great resource for creative entrepreneurs. So pretty and I love the summer colors you've put together! Thanks Ann - I was thinking about Brazil when I chose them! 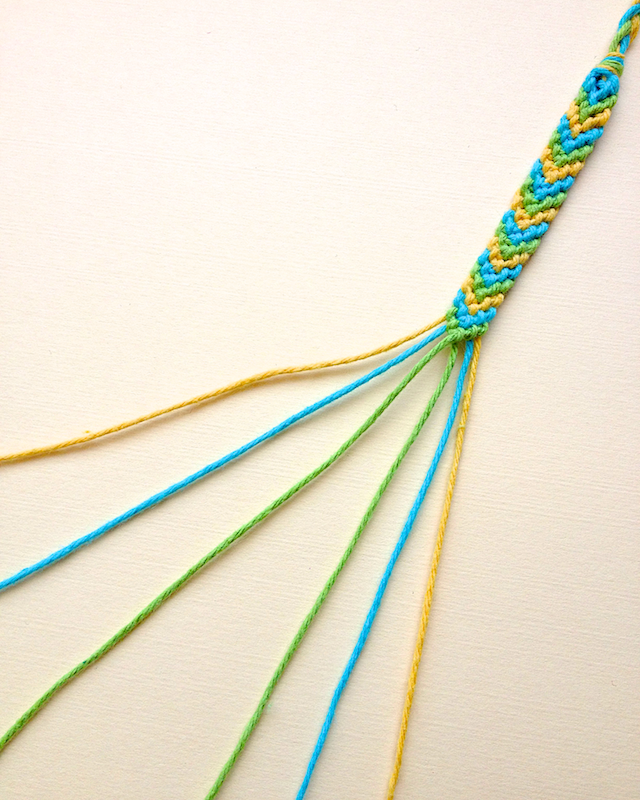 Lovely friendship bracelet DIY project. Thanks a lot.